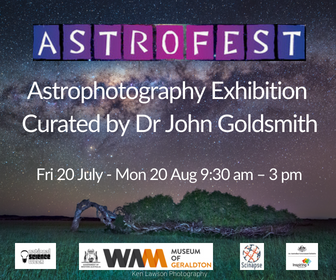 The 2018 Astrofest astrophotography exhibition celebrates and showcases Western Australian astrophotographers and astro-imagers who have recorded stunning astronomical landscape images in locations throughout Western Australia and beyond. Established in 2009, the annual competitive exhibition is a highlight of Astrofest, Western Australia’s biggest annual Astronomy festival. 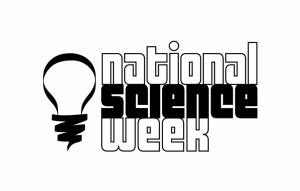 This year’s entries include deep space images shown in extraordinary detail and colour, using telescope based imaging combined with the power of sophisticated image processing. Deep space and planetary images are complemented by astronomical landscape images which record the cosmos above a myriad of locations throughout Western Australia. This mesmerising exhibition can be seen at the Museum of Geraldton until 20 August.